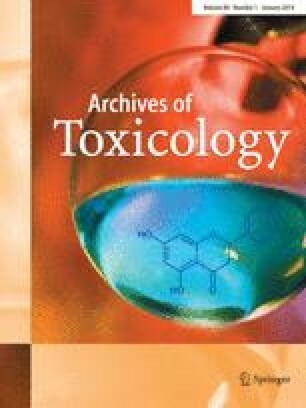 The human toxicity of nicotine has become increasingly relevant in the past couple of years through marketing of new nicotine-containing products, such as smokeless tobacco and liquids for electronic nicotine delivery systems (electronic cigarettes) that are freely available in most countries. Standard textbooks, databases, and safety sheets consistently state that the lethal dose for adults is 60 mg or less (30–60 mg), leading to safety warnings that ingestion of five cigarettes or 10 ml of a dilute nicotine-containing solution could kill an adult. The 60-mg dose would correspond to an oral LD50 of around 0.8 mg/kg, a dose that is considerably smaller than the values determined for laboratory animals, which are ranging from 3.3 (mice) to more than 50 mg/kg (rats) (Hayes 1982). Although an LD50 of 0.8 mg/kg would implicate that the toxicity of nicotine is similar to or even higher than that of cyanide, fatal nicotine intoxications are relatively rare, and there are countless records of subjects who survived consumption of nicotine in amounts far higher than 60 mg (Larson et al. 1961). The most drastic example is probably survival of a suicide attempt with 4 g of pure nicotine (Schmidt 1931). While this is certainly an exceptional case, in which the amount of bioavailable nicotine was markedly reduced by vomiting, ingestion of tobacco or nicotine gums at doses up to 6 mg/kg nicotine was reported to evoke symptoms of intoxication without causing death (Malizia et al. 1983; Smolinske et al. 1988). These and many other literature reports on nonfatal nicotine intoxications are hardly compatible with a lethal dose of 60 mg or less. Several detailed reviews are available on fatal nicotine intoxications caused by either suicidal intent or accidents, latter mainly resulting from misusage of nicotine-containing solutions marketed as pesticides (Esser and Kühn 1933; Larson et al. 1961; Maehly and Bonnichsen 1963; Tiess and Nagel 1966; Hayes 1982; Corkery et al. 2010; Solarino et al. 2010). The postmortem data reviewed by Maehly and Bonnichsen (1963) and more recently by Corkery et al. (2010) and Solarino et al. (2010) revealed minimal nicotine blood levels of 2 mg/L, but rapid decline of blood nicotine after death (Sanchez et al. 1996) may have led to underestimation of the actual lethal concentration in delayed autopsies. Despite these uncertainties and the complex pharmacokinetics of nicotine (Hukkanen et al. 2005), a rough estimate of the amount of ingested nicotine from postmortem analyses of blood levels appears feasible. Smoking a cigarette results in uptake of approximately 2 mg of nicotine and gives rise to mean arterial plasma concentrations of about 0.03 mg/L (30 ng/ml) (Gourlay and Benowitz 1997). Based on 20 % oral bioavailability of nicotine (Hukkanen et al. 2005) and assuming linear kinetics, an oral dose of 60 mg would give rise to a plasma concentration of about 0.18 mg/L. The literature reports on fatal nicotine intoxications suggest that the lower limit of lethal nicotine blood concentrations is about 2 mg/L, corresponding to 4 mg/L plasma, a concentration that is around 20-fold higher than that caused by intake of 60 mg nicotine. Thus, a careful estimate suggests that the lower limit causing fatal outcomes is 0.5–1 g of ingested nicotine, corresponding to an oral LD50 of 6.5–13 mg/kg. This dose agrees well with nicotine toxicity in dogs, which exhibit responses to nicotine similar to humans (Matsushima et al. 1995). Some of these effects resemble typical symptoms of nicotine overdosing, but 1–4 mg of oral nicotine will certainly not evoke the severe adverse effects described, such as clonic seizures and loss of consciousness. Curiously, Kobert mentioned the Pharmacologist Wilhelm Reil but ignored Reil’s account on very mild symptoms caused by self-ingestion of up to around 7.5 mg of nicotine (15 drops of a solution of 1 drop of nicotine in 100 drops of alcohol) (Reil 1857). Indeed, more recent studies have shown that intravenous administration of up to 5 mg of nicotine, corresponding to 25 mg oral, i.e., 50 % of the allegedly lethal dose, led to only minor adverse effects, such as coughing and nausea (Henningfield et al. 1983; Gourlay and Benowitz 1997). Thus, Kobert estimated the lethal dose of nicotine on the basis of highly dubious self-experiments performed in the mid of the nineteenth century while ignoring conflicting data. His excellent reputation as a leading scholar in toxicology has apparently led to uncritical acceptance and citation of the 60-mg dose by contemporary fellows and successive researchers. The discrepancy between the 60-mg dose and published cases of nicotine intoxication has been noted previously (Matsushima et al. 1995; Metzler et al. 2005), but nonetheless, this value is still accepted without scrutiny and taken as the basis for worldwide safety regulations of tobacco and other nicotine-containing products. Nicotine is a toxic compound that should be handled with care, but the frequent warnings of potential fatalities caused by ingestion of small amounts of tobacco products or diluted nicotine-containing solutions are unjustified and need to be revised in light of overwhelming data indicating that more than 0.5 g of oral nicotine is required to kill an adult. I thank Christa Kern from my department for invaluable assistance in literature search and Dr. Ellen Zechner (Department of Molecular Biosciences, Karl-Franzens University Graz, Austria) for her help with the translation of the antiquated German text. Support from the Austrian Science Fund (P24005 and P24946) is gratefully acknowledged.